Abbie was born and raised in Madison. She started working at the clinic in 1998. In 2003 she married Dr Bill. 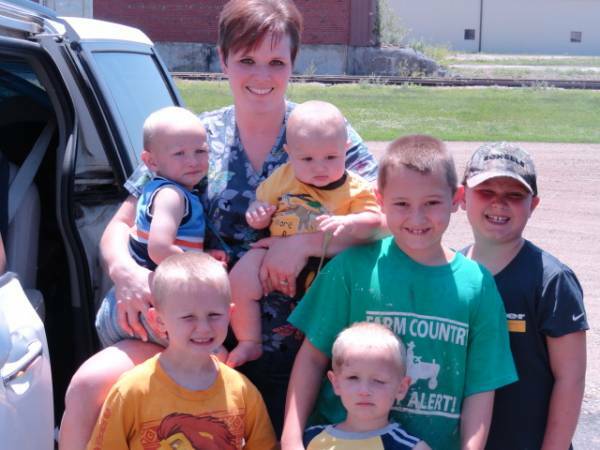 They have 7 boys, (top left) Ezekiel, Moses, ( bottom left) Judah, Malachi, Isaiah, Israel and Titus (not pictured). She loves to cook and bake bread. She has 2 cats, Benelli and Ruger. Tammy grew up in Hayward, California. She attended vet tech school for one semester in California. She has two children, Christopher and Emily and two grandchildren, Nova and Eleanor. She has 3 dogs, 4 chickens, and many outside cats. Her hobbies include quilting, photography, camping and fishing. 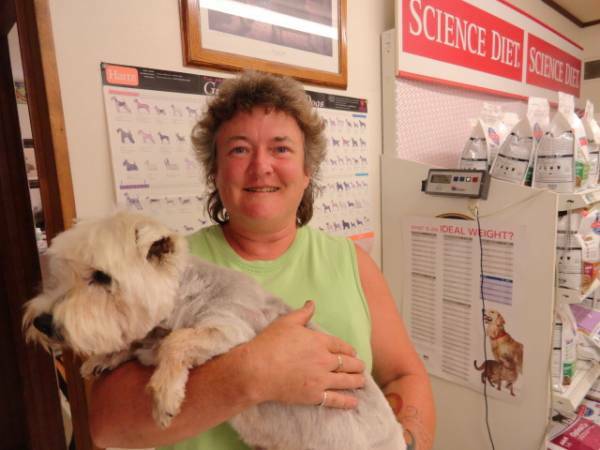 She loves working at Lake Vet Clinic, helping the animals and owners. Andrea grew up in Egan, South Dakota. She attended Vet Tech School in Rapid City. She is married to Kody Campbell. She has two children, Blade and Jax. Her favorite courses are dentistry and lab work. 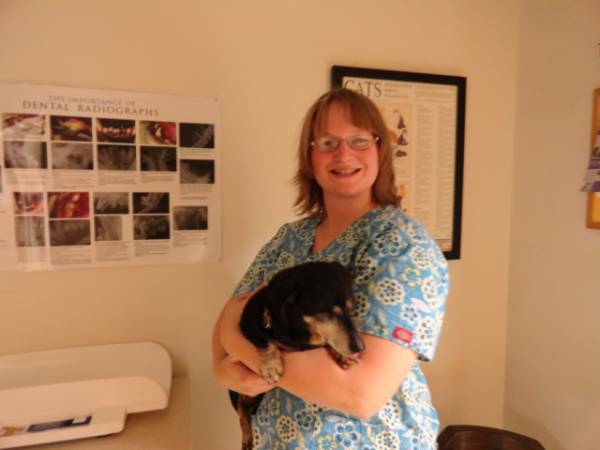 She has two years experience working for a veterinary dentist and does dentals for Lake Vet Clinic by appointment. Terri grew up in Pierre, South Dakota. She has 3 degrees, AA from Colby College,Colby , Kansas. AAS from Pueblo Community College, and BS in education from Moorhead State in Moorhead, MN. 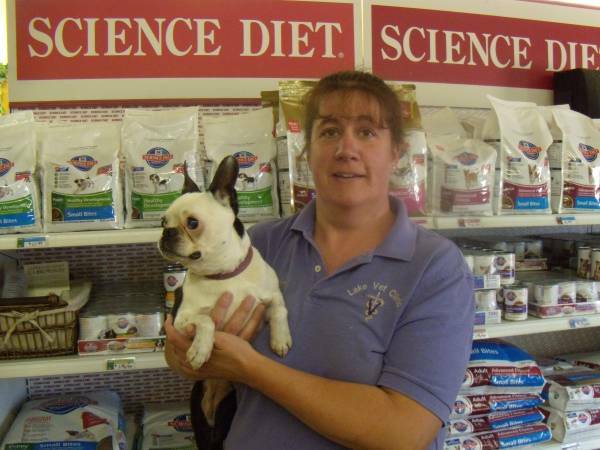 She trained under a certified master groomer in Pueblo, Colo. for 5 years. She moved to Madison in 2001. Her hobbies are Appaloosa horses, native American beading, acrylic art and gardening. She has 3 dogs, 6 horses and 30 cats.